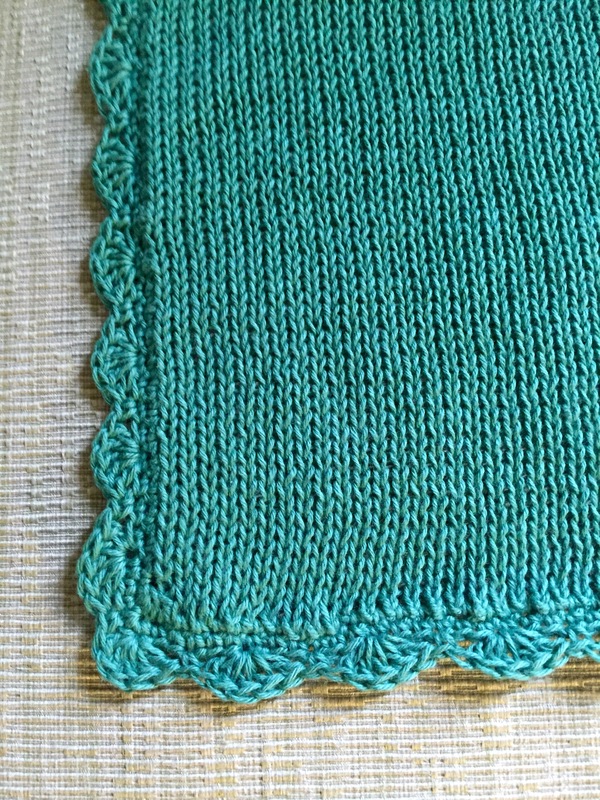 This is the second dish cloth that I have made on the knitting machine. 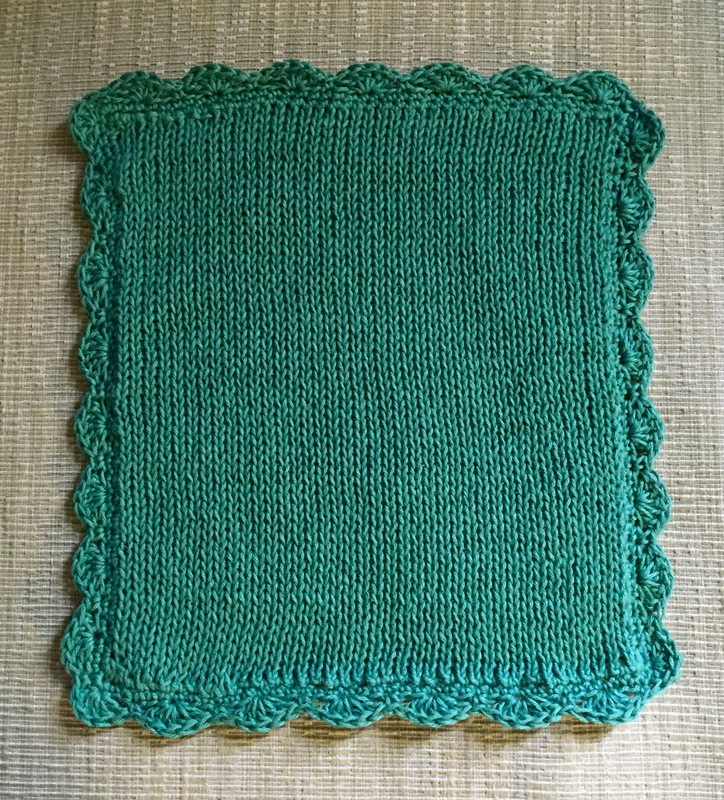 I used Maysville carpet warp and the color is myrtle green. I knitted 60 rows on 40 hooks. I decided to set the tension at three and like it a lot better than the previous dish cloth tension setting which was 6. 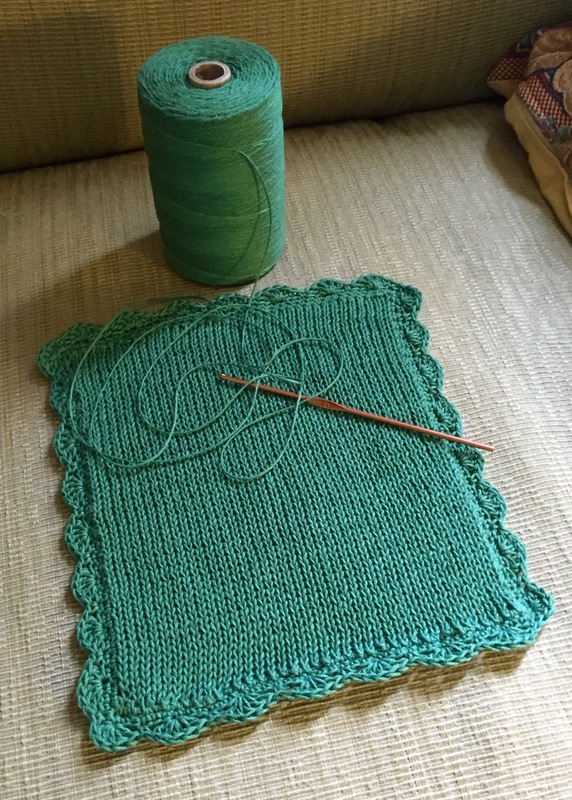 I crocheted the edging with a size D metal crochet hook in a shell stitch pattern.